Folks love hot wings! You can move to the top of their favorite friends list with this grilled, hot chile chicken wings recipe. Did you know that chicken wings are usually referred to as one of the most popular appetizers in the United States? These are a must have appetizer for football season and parties! During American football play-off games, hot wings are the number one appetizer. Some years, grocery stores have been rumored to be in a chicken wing shortage when the Super Bowl comes around. Be prepared as these spicy hot wings are not for the “faint of heart,” as they are very hot! Check out more great Poultry Recipes including the original Buffalo Chicken Wings. * Liquid Smoke Seasoning can be found near the barbecue sauce section in most grocery stores. ** Warning: Always wear gloves when working with hot chile peppers (fresh, dried or roasted chiles). Never touch your eyes when working with chiles. Gloves will protect your hands, but the capsaicin in the chile pepper sticks to all it touches, and if you touch near your eyes it will burn. Rinse well with copious amounts of water. Cut off the tip of each chicken wing and discard it. Cut the wing in half (cutting at the joint) to make two pieces. Wash and dry the chicken wings (they need to be very dry). Place wings in a large bowl and set aside. To prepare sauce: In a non-stick saucepan over low heat, add Worcestershire Sauce, Teriyaki Barbecue Sauce, honey, Liquid Smoke, garlic, ginger, habanero and serrano chile peppers, and horseradish. Simmer mixture for 1 hour, stirring occasionally. Remove from heat. Cover the chicken wings with 3/4 of the hot sauce, gently stirring to coat evenly. Cover bowl with plastic wrap and refrigerate approximately 12 to 24 hours to marinate them. When ready to cook: Preheat barbecue grill to LOW (spray grill with vegetable-oil cooking spray). Remove chicken wings from the sauce an place on the prepared grill. 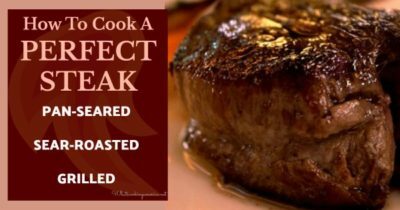 Cover barbecue with lid, open any vents, and cook 45 to 60 minutes over LOW HEAT or until a meat thermometer registers an internal temperature of 165 degrees F. (juices will run clear when cut with the tip of a knife); turning and basting several times. Serve hot with the remaining sauce on the side. This Grilled Hot Chile Wings recipe and photo are courtesy of the website Wild for Wings, a web site devoted to just chicken wings.